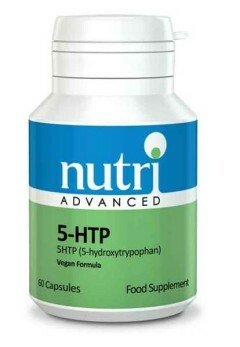 Nutri 5-HTP is a formulation of 5-Hydroxytryptophan, which is a precursor of serotonin. Serotonin is a neurotransmitter which regulates numerous important bodily functions, in particular brain and nerve function. Approximately 70% of oral 5-HTP is converted to serotonin compared with around 3% of L-tryptophan. 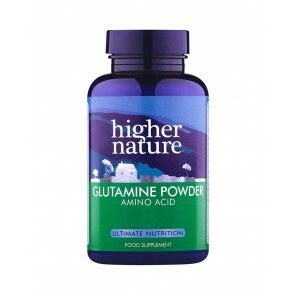 5- Nutri 5-HTP is sourced from the plant Griffonia simplicifolia. Cetyl alcohol, Hydroxypropyl Methylcellulose (capsule), Lecithin, Rice flour, Silicon dioxide, Tricalcium phosphate. Up to 600mg per day may be taken, although loose stools may result from higher doses. For children, the dosage of 5-HTP should be reduced from the adult dose to 20mg for every 10kg of body weight. Safety has not been established in pregnancy or whilst breastfeeding. Consult with a medical doctor if taking antidepressant medication.